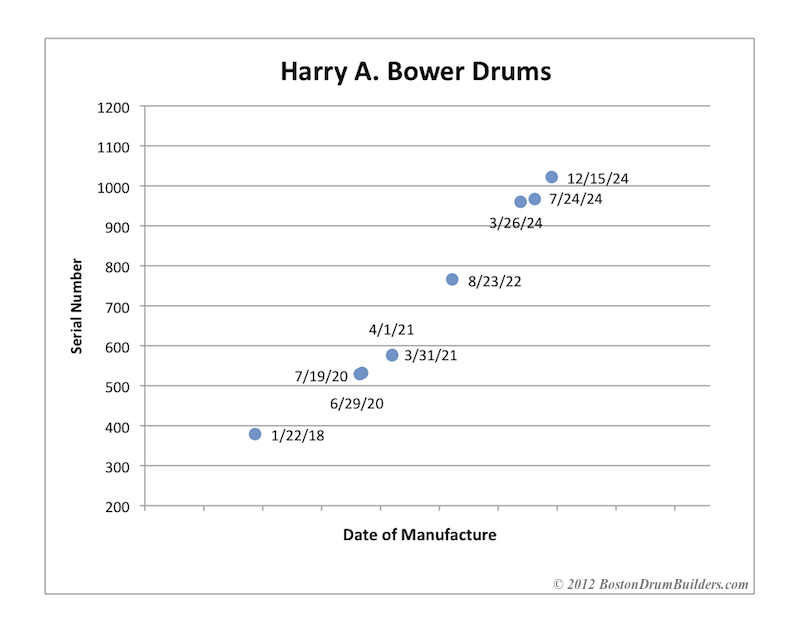 Below is a table listing the Harry A. Bower drums of which I am aware along with their corresponding serial numbers and dates of manufacture. Not all Bower drums have serial numbers and not all are dated, so undated drums are included in this table with approximate dates based on which patents are applied to the drum, patent dates stamped onto the hardware when present, and where the serial numbers fit into the established pattern. All of the serial numbers here fit the pattern. 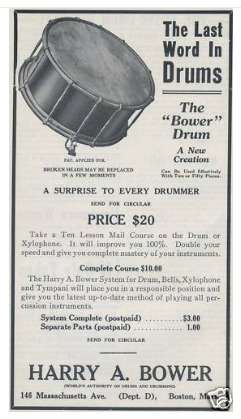 And taken at face value, Bower may have produced more than 1000 drums by the end of 1924. Whether or not this is true, we have no way of knowing. For one, we don't know where the serial numbers begin. They could have started at number 100, or 200, or even 300. Also, it is entirely possible that numbers were skipped along the way for any number of reasons such as the assigning of a specific number to a certain date, or the starting of each new batch at a fixed number. Any such manipulation of the serial numbers would completely skew the data graphed at bottom. 532 July 19, 1920 flickr - username "theckman"